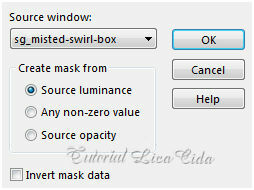 Preset Illumination\Lights_palco (mp) ( Guardar em sua pasta de Presets My PSP Files). 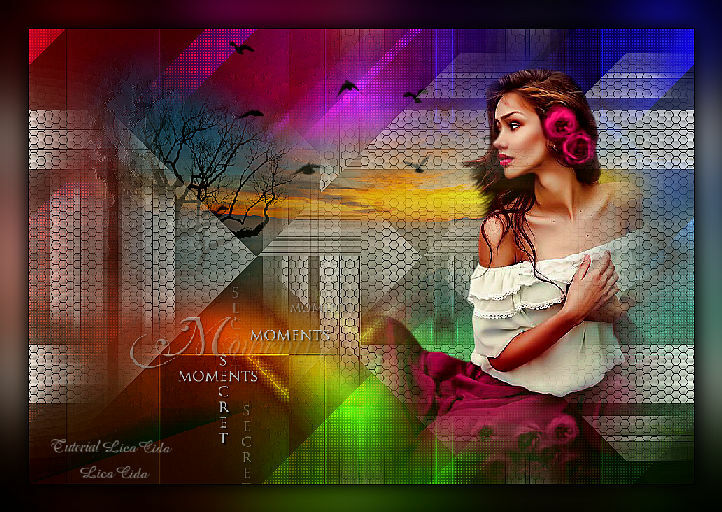 Tubes: 4162-luzcristina \ Mina@.paesaggio01.09.15 \ bird_brushes_II_by_lpdragonfly_3\ text1_672_L. Configurar : #dea7a0 _foreground \ #8a1214 _background. 1-Abrir nova imagem transparente 950 x 650. Preencher com o gradiente formado pelas cores selecionadas acima. 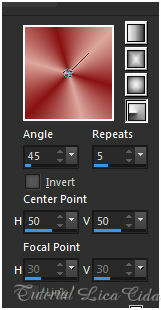 Configurar: Radial \ A=45 e Repeats =5.Invert desmarcado. CP=H e V=50. Effects\ Edge Effects\ Enhance More. Unlimited2 &<BKg Designer sf 10II> \ Dis Refractor1. Unlimited2 &<BKg Kaleidoscope>\ 4 QFlip UpperL. Effects \ Image Effects \ Seamless Tiling. 2-Nova Layer. Preencher color=#fffff . 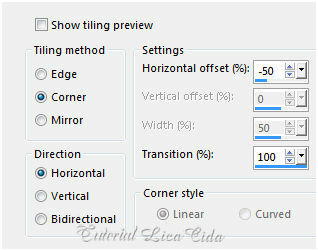 Effects \ Image Effects \ Seamless Tiling ( print acima ). Unlimited2 &<BKg Kaleidoscope>\ @Blue Berry Pie. Effects \ 3D Effects \ Drop Shadow 0\ 0\ 60\ 30,00. Color=000000. Opacity 79%. Effects\ Art Media Effects\ Brush Strokes...Default. 4-Plugin MuRa's Meister \Perspective Tiling. Height 20. Demais valores_Default. Com a Ferramenta Magic Wand \ Feather 70 \ Clique na parte transparente . Deletar ( quatro \ cinco vezes _não deixar marca ). Selections \ Select none. Emboss3. 5-Edit Copy no tube Mina@.paesaggio01.09.15\ Paste As New Layer. Objects\ Align\ Top. 6-Edit Copy no tube5Mina@.paesaggio01.09.15\ -\ Paste As New Layer. 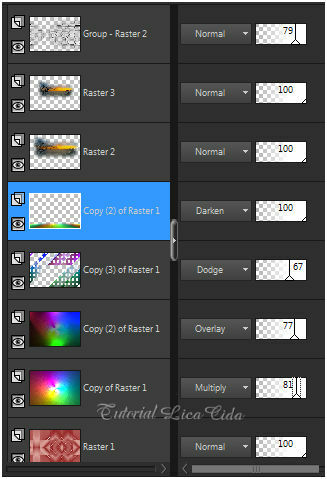 7-Duplicar a Copy of Raster1 . 9-Edit Copy no tube 4162-luzcristina\ Paste As New Layer. Mirror. Adjust\ Sharpness\ Sharpen More. Posicione. 10-Edit Copy no text1_672_L\ Paste As New Layer. Posicione a gosto. 11- Edit Copy no bird_brushes_II_by_lpdragonfly_3\Paste As New Layer. Posicione. Plugin AAA Filters\ Custom_Landscape . ( opcional). 13-Image add borderes 40 pxls \ color= #ffffff. Effects \ 3D Effects \ Drop Shadow 0\ 0\ 80\ 40,00. Color=000000.